Janusian Thinking is derived from the concept of paradox. 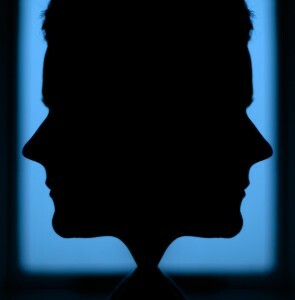 Janus, the Greek god of doors and gates and beginnings and endings, was most often depicted with as man with two heads, each facing in opposite directions. The obvious benefit of such a dual perspective – and the underlying power of Janusian thinking – is that it provides the ability to consider multiple perspectives simultaneously. Failure to do this results in decision-making paralysis, depression or in wasted effort, pursuing false goals. Variants of Janusian thinking are applied in contemporary contexts to military planning, corporate strategy, and academic analysis. Janusian thinking can be a valuable tool in everyday life. Our modern existence requires us to weigh complex, competing phenomena concurrently and make decisions we can stick by, despite having incomplete information. In this blog I often apply the concepts of Janusian thinking to luxury marketing and to the behaviour of the diamond industry, but it offers us many more valuable insights into human behaviour. Mastering Janusian thinking holds the key to moving beyond personal and institutional blockages and becoming a committed, purposeful leader. In my PhD I offered descriptions of two predominant ‘worldviews’, which I termed Theta and Lambda. People tend to prefer one of these two Theta or Lambda worldviews in their pursuit of life purpose, and thus also in the pattern of their purchasing decisions. The Theta-Lambda worldview is particularly applicable to one’s consumption of luxury products as this category of goods and services aims to tap into our desire to reflect externally what we see as our internally derived identity. While we can only see the world from one perspective, we can strive to respect and understand that there may be a different perspective, thus also respecting the person who has adopted that viewpoint. Handling this apparent paradox – of holding one view to be true while allowing for another valid perspective to exist – is the key to achieving a rich and full interpretation of the world. This was a really great writeup by the author hope to read more really soon. I am actually fascinated with the writing skills and also with the layout on your web site. Is this a paid for design or have you personalize it on your own? In either case continue outstanding excellent writing, it is unusual to find out a great site such as this one these days.. Recently, I decided to be more active with my blog and had to change the team working for me. That’s the reason for the long silence which is now over. My approach has been changed a bit and you should see the difference while reading my last article, “The Map is not the Territory”. I will be happy to get your feedback.